Our Michigan personal injury lawyers frequently represent clients who have suffered Temporal Mandibular Joint injuries, also known as TMJ or a TMJ disorder. These injuries frequently occur in car accidents and slip and fall accidents. Injuries can also occur from whiplash type injuries, air bag deployment, or some sort of trauma to the jaw area. 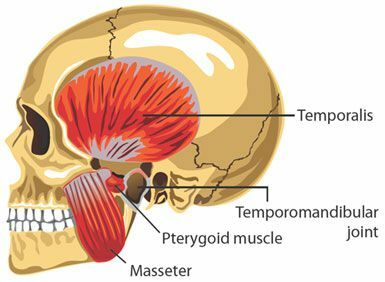 TMJ injuries refer to a complex and poorly understood set of conditions, manifested by pain the area of the jaw and associated muscles and limitations in the ability to make the normal movements of speech, facial expression, eating, chewing, and swallowing. Conditions that routinely affect other joints in the body, such as arthritis and trauma, also affect the TM joint. TMJ syndrome can cause facial pain, pain in the jaw joint and surrounding tissues, including the ear, jaw locking open or closed, limited opening or inability to open the mouth comfortably, headaches, bite that feels uncomfortable, or "off", as if it is continually changing, neck, shoulder and back pain and/or swelling on the side of the face. Treatment for this condition varies depending on the severity of the problem and is usually provided by a dentist or oral surgeon. Many patients receive a mouth splint to keep the teeth and jaw aligned. This helps to reduce headaches and symptoms. Other patients receive physical therapy and the most severe cases require surgery. To learn more about the laws in Michigan temporal mandibular injury accidents, you should request our FREE BOOK, "The Ultimate Guide To Injury Cases in Michigan" which includes The "Biggest Mistakes That Can Ruin Your Injury Case." We will send it out immediately. The procedures for filing claims and lawsuits are different virtually everywhere and the time limitations for filing personal injury claims isn't always the same. Depending on what type of case it I determines the statute of limitations for the case. If you miss a deadline, your claim will be lost forever. For these reasons, you should contact our Michigan personal injury lawyers immediately if you have been injured in an accident. We will represent you in your Michigan TMJ injury case under our NO FEE PROMISE. This means that you will not be charged any legal fees whatsoever unless we obtain a settlement or recovery for you. You have absolutely no obligation for legal fees unless we win your case. If we do not obtain a settlement for you, you owe us nothing! If you or a family member suffer from temporal mandibular injuries due to a Michigan accident, you should contact our Michigan temporal mandibular injury lawyers to determine whether a Michigan injury claim should be pursued. We have obtained significant settlements and verdicts for TMJ injury clients. Call us now at (800) 606-1717 to speak with one of our experienced Michigan personal injury lawyers about your case. Our office will start working on your case immediately and begin gathering witness statements and evidence to prove and win your case.